As an orthopedic specialist and sports medicine expert, many of the people I see in my practice are already in pain, injured, or suffering from diminished movement. In other words: it’s too late to prevent the problem. Yet prevention is always preferable to treatment for bone and joint pain, which is why, from time to time, I like to pass along resources such as this one. The page includes a few handy tips to prevent pain altogether. Although it is targeted at active individuals who like to work out, the biomechanical principles are widely applicable. You can use these tips no matter how often you hit the gym. Tightened up wrists, elbows and shoulders can be very risky and can cause a tear in the soft tissues that make up their joints. . . .One simple way to avoid this to fully stretch your elbows and bend the front side of your hand towards yourself and then repeat the exercise by bending your hands in the opposite direction. If you want help for elbow pain from one of the nation’s top sports medicine specialists, call Dr. William Holland to learn more today. Pain treatment has always been something of a mystery in American medicine; some patients respond well to painkillers, while others suffer with chronic pain for years at a time. For medial elbow pain, the combination of stress ultrasound (US) and magnetic resonance (MR) arthrography is associated with improved specificity, sensitivity, and diagnostic accuracy compared with either modality alone, according to a study published in the June issue of Radiology. In other words, when we look at pain through two accurate lenses at once, we can often develop a more accurate diagnosis, leading to more individualized and effective care. If you have been experiencing elbow pain in San Diego and want to work with the best orthopedist for pain of the shoulder, elbow hand and wrist, please don’t wait. Contact Dr. Bill Holland for an expert workup today. The New York Times recently published an affecting piece about how difficult it can be to find the right combination of pharmaceutical and behavioral measures to keep elbow pain at bay. The author hurt herself painting some bookshelves years ago, and has experienced the searing ache of tennis elbow in varying degrees ever since. Unfortunately, none of this knowledge has translated into new treatments. We have the usual handful of alternatives, often just so many cornflakes to the opioid-experienced. Nonpharmaceutical approaches to pain treatment (Exercise! Stretch! Be mindful!) generally just don’t fly. . . .
Opioids work well for some people, but for others they can be a gateway to destructive dependency. Because tennis elbow can remain chronic for decades at a time, surgical intervention is considered the only lasting treatment. My San Diego orthopedic practice specializes in the treatment of tennis elbow and other forms of elbow pain, as well as all of the most common elbow injuries in children. Please call us today to learn more about how we can solve your problem for good. Is One Pitch Ruining Elbow in MLB? An interesting theory was floated last month about just what, exactly, causes so much damage to pitchers’ elbows over the course of their careers. Conventional wisdom has long held that the problem is simple overuse: after thousands of pitches thrown in games and countless more in practice, the mechanics of the elbow can begin to break down under constant exertion. When a pitcher supinates his forearm (turning his palm up) as he violently throws the baseball, he is placing a lot of stress on his medial elbow. The UCL is absorbing this stress and keeping the ulnar and humeral bones from unhinging as the arm is going forward with a supinated forearm. Too much repetitive high stress is breaking down the UCL. It is an intriguing notion, but the only way to know for sure would be to alter or eliminate this motion in favor of a less damaging one and see how many pitchers experience a clear difference in symptoms. If you or your child is a competitive pitcher, it is never too early to care for the elbow and shoulder ligaments that every good athlete depends on. Contact my San Diego pediatric orthopedic practice today to set up a close evaluation with the best sports medicine experts in California. Consumer Reports is one of the last remaining bastions of professional not-for-profit reviews, which makes its advice on medical issues especially noteworthy. Unlike heavily sponsored websites such as WebMD, CR accepts no advertising whatsoever and weighs nothing but the best medical evidence when it publishes recommendations. Support your neck while you sleep by lying on your back with one or more pillows beneath your knees and a small pillow under your head; doing so keeps your neck and head in a neutral position. If you need further relief, our Best Buy Drugs analysis suggests trying over-the-counter painkillers such as ibuprofen (Advil and generic) or naproxen (Aleve and generic). And when basic rest and OTC medications measures no longer resolve your shoulder pain, then it’s time to visit an orthopedic specialist. Contact AOSM today to learn more about the best best shoulder pain treatments in San Diego. Hand transplants often warrant headlines because of their sheer ambition: the extraordinary number of nerve and tendon connections, not to mention vascular and musculoskeletal linkages, required to successfully transplant a human hand can take years of planning. So it is especially astounding that one team recently mounted a comparable effort in less than a day. By the time the pressure monitor was in place, near midnight, Comer’s team had Elijah’s hand ready. They brought it from the other operating room to begin the delicate process of reconnecting it to Elijah’s arm, fitting together first his bones, then the tendons, then — with the help of a few blood vessel grafts — the veins, nerves and arteries. Finally, after nine hours of surgery, the team closed the skin. They also set Elijah’s broken humerus. Since that day, the patient has actually regained some movement in his hand and continued to recover overall – a testament to the power of modern orthopedic surgery tools. The case remains an inspiration for those of us who specialize in pediatric orthopedic surgery for young people like Elijah, and who place a premium on the absolute cutting edge in modern medical techniques. We live in a world where the actual costs of many medical procedures get hidden behind insurance copays and complex accounting. 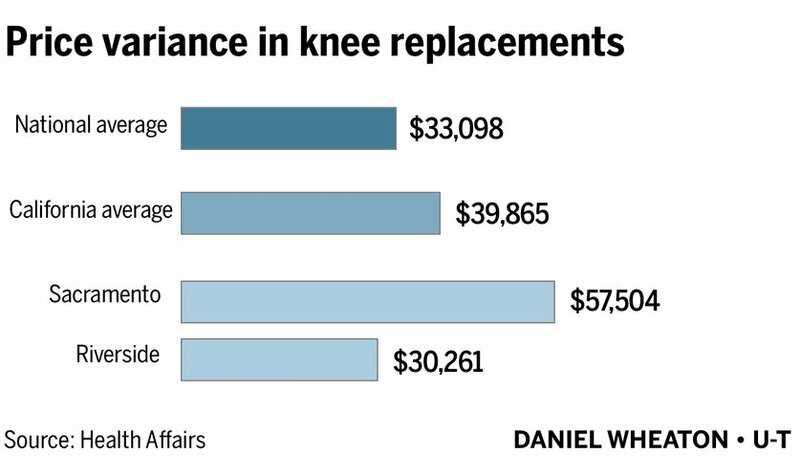 But many patients rightly want to know what their orthopedic surgery procedures actually cost – both for the system, and for their own pocketbooks. At my San Diego orthopedic practice, we make every effort to keep our prices reasonable and to serve our patients well within their means, for knee surgery, shoulder surgery, elbow surgery, and pediatric orthopedic care. To schedule your own rational diagnosis with the best orthopedic surgeon in San Diego, start here. As an orthopedic expert, I am constantly reviewing the medical literature on how patients are able to escape chronically painful conditions of the shoulder, knee, and elbow. A computerized analysis showing how Jane walked provided the information we needed to appropriately calibrate therapeutic pods on the bottom of a special shoe to improve Jane’s joint loading pattern on the knee – redistributing pressure the knee takes from walking and retraining her neuromuscular function. After a few weeks on the therapy regimen, Jane’s pain improved, her body is appropriately compensating for the orthopedic issues associated with her osteoarthritis and she is able to jog again, as well as enjoy her service to her patients. My offices proudly offer the vanguard in orthopedic treatments for knee pain, including access to the best medical devices in the marketplace. If you have pain in your knee that isn’t responding to rest or drugs, please contact orthopedic surgeon Dr. William Holland today. We use our shoulders for nearly everything, from writing and eating to standing and even speaking. When impingement syndrome strikes, it touches everything, leaving most people struggling to complete the most quotidian of tasks. Exercise: Lean over holding onto a chair or table, let your arm hang down. Swing your arm gently in circles using momentum and gravity. Go both ways for one minute each, five times per day. And what should you do if exercise isn’t stemming the tide of anguish any longer? It’s important to keep the joint mobile, but some patients need a corticosteroid injection to reduce inflammation or, as a last resort, surgery to release the pinched tendon. Visit the best San Diego orthopedic surgeon to get a full workup and develop a pain for persistent relief from your pain today. Shoulder pain is an equal opportunity torturer, afflicting patients young and old, active and infirm. A tremendous variety of ailments that can give rise to shoulder pain, from disease to disuse, which can make it difficult to diagnose and treat. But a good diagnostic appointment can get you most of the way there. Chronic shoulder pain often stems from prolonged, repetitive or awkward movements. This type of pain is sometimes referred to as repetitive strain injury (RSI) or cumulative trauma disorder, which is common among people who work with their arm above the shoulder level, like homemakers, teachers, painters, carpenters and sportsmen. Treating shoulder pain effectively requires an expert orthopedist who can help you understand how your daily activities may be causing pain. When you contact AOSM, you get access to the most accurate diagnostic tools in San Diego. Contact my offices today to get fast relief from shoulder pain in San Diego and throughout Southern California.